Ever wondered what Harold and the Purple Crayon would be like if it was emceed by Sully from Monsters, Inc.? Osmo Monster gives you a pretty good idea. 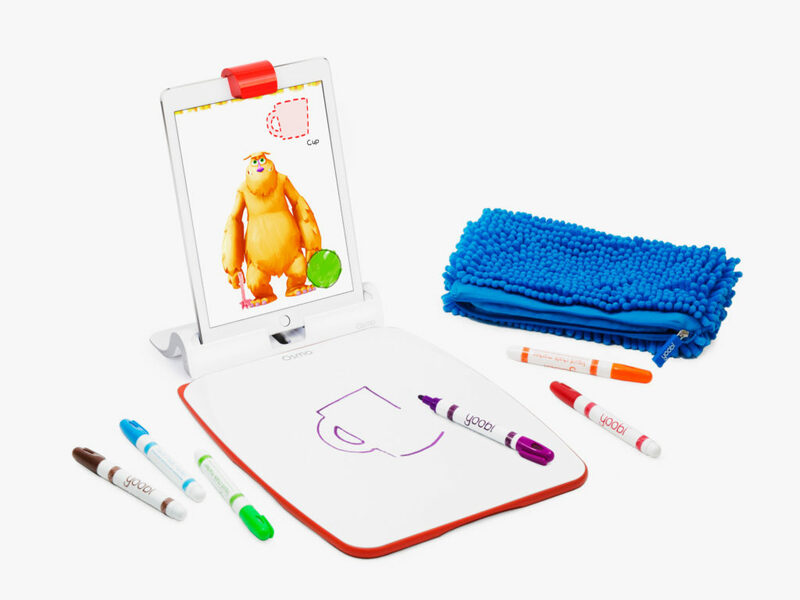 The new iPad game uses markers, a dry erase board, and Osmos little camera attachment to turn your real-world drawings into digital animations. Scribble something in front of the tablet, and an onscreen monster picks up what youve drawn and uses it as a prop in a story. The whole thing is then automatically saved as a video clip, which you can share with grandma. The monster isn’t perfect, and that’s by design. It makes the interactions with him more entertaining. “Monster is actually a rare opportunity in computer vision where if a mistake is made it is acceptable or even desirable,” says Osmo co-founder Jerome Scholler. “If he asks for an apple and you draw him a shoe, hell take it, pretends it is an apple and this will be funny. This isnt the first Osmo game to convert drawings into digital elements, but the company says its the most complex. Last years Masterpiece used similar computer-vision tricks, but Monster required a lot more work to hone the interactions. While Osmos games normally have an educational slant, Monster is more about pure entertainment. It does share an important thematic trait with the other titles, however: The company is trying to bring mixed reality into the world of education. By blending traditional forms of real-world play with software, Osmo is hoping to keep kids engaged and tech-savvy without turning them into device junkies. Alas, the cost of entry for Monster is high unless you already own Osmos base package. While Monster will work with a normal pen and paper, you have to purchase the companys $50 Creative Set to actually play the game. Its basically a dry-erase board and markers optimized for the Osmo. Still, Scholler says, kids can play using paper and their own writing utensils as well. However, the Creative Set doesnt include the Osmo camera attachment, which requires buying the $80 Starter Kit. The total cost of entry for Monster is more like $130. The Monster app’s gameplay is limited at this time, but Osmo plans to roll out more activities within the game by the end of the year.